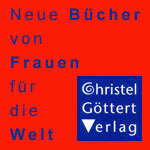 Christa Wolf, besides Günter Grass Germany's best known author, was awarded the first German Book Prize in 2002 for her lifetime achievement. The jury lauded her for “courageously confronting the great debates of the GDR and reunified Germany.” But Wolf's probing texts and courageous public stands had long since made her a unique and valued writer who spoke to the concerns of readers in both East and West. Her deeply reflective works cause the reader to become engaged with the moral and political questions of the time—from the reconstruction era of the early GDR to its end and beyond. At first celebrated as a new talent of GDR literature, Wolf came to be viewed from the 1960s on as a “loyal dissident,” critical of the regime but maintaining her belief in socialism as a better alternative to the capitalist west. Eventually she extended her critiques to the deforming effects of technology and patriarchy, always concerned to defend the human subject—in her works usually female—against any form of instrumentalization. Christa and her brother Horst, younger by three years, grew up in Landsberg an der Warthe (today Gorzow Wielkpolsky in Poland), where their parents Herta and Otto Ihlenfeld owned a grocery. At the end of WWII the family fled to Mecklenburg, and Christa did secretarial work for the mayor and attended high school in Gammeln, near Schwerin. 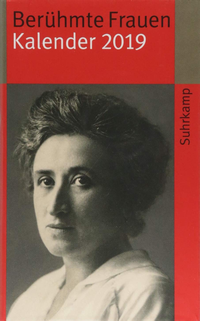 She completed high school in Bad Frankenhausen and joined the SED (Socialist Unity Party) in 1949. From 1949 to 1953 she studied German literature at the universities of Jena and Leipzig; she married her fellow student, the writer Gerhard Wolf, in 1951 and had her first daughter, Annette, in 1952. 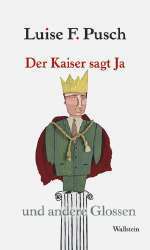 From 1953 to 1957 Wolf worked first on the staff of the Deutscher Schriftstellerverband (German Writers' Association), then as chief of the editorial staff of the publishing house Neues Leben. She served from 1958-59 as editor of the journal Neue Deutsche Literatur. Her second daughter, Katrin, was born in 1956. Her Moskauer Novelle (1961) was awarded the Artist's Prize of the city of Halle, and in 1962 Wolf moved to Kleinmachnow near Berlin and began writing full-time. Her first novel, Der geteilte Himmel (The Divided Heaven; 1963), tells of the love between a student and a chemist which cannot survive the conditions of divided Germany—the chemist departs for the West shortly before the building of the Berlin Wall, while Rita decides to remain and help rebuild the GDR. The book was awarded the Heinrich-Mann-Prize, was made into a film the following year and brought its author recognition in the West as well as the GDR. She received the National Prize for Art and Literature and was nominated as a candidate for the Central Committee of the SED. Her second novel, Nachdenken über Christa T. (The Quest for Christa T.; 1968), was first banned in the GDR, then published in limited quantity. The book deals with the development of an individual personality within a socialist society geared to productivity and universal norms. The novel, which became the focus of heated critical debates, began a new direction in GDR-literature with its emphasis on “subjective authenticity” and “is undoubtedly one of the central books of that time” (Hörnigk). Christa Wolf “abandoned outmoded ideas of realism once and for all and initiated a new way of viewing the world in literature, which incorporates the consciousness of the author as a perceiving subject” (Magenau). In Kindheitsmuster (Patterns of Childhood; 1976) Wolf turned to the history of her generation, tracing her recollections of life in the “Third Reich” to lay bare the roots of present-day behavior and thought-patterns: “How did we become the way we are?” When the poet and songwriter Wolf Biermann was deprived of his GDR citizenship for his criticisms of the regime, Wolf was among those who initiated a public protest. In her next two books Wolf projected her concerns still further into the past. In Kein Ort. Nirgends (No Place on Earth; 1977) she chose figures of the German Romantic period, Heinrich von Kleist and Karoline von Günderode, to probe “the connection between despair of society and literary failure,” a theme which preoccupied her at the time (Wolf in Hörnigk). In Kassandra (Cassandra; 1983) Wolf turned to classical mythology to examine the origins of war in the patriarchal culture of the Greeks. In this project the treatment of feminist themes, long since present in her works, was deepened and expanded through her encounter with writings of the “Western” women's movement. She was now hailed as an important German author in both parts of Germany. Although Christa Wolf was under constant surveillance by the Stasi (State Security Service) because of her deviations from the official line, she was allowed to travel to conferences and for longer visits in the West. She was a visiting professor at Oberlin College, for example; she gave lectures (the Frankfurt Lectures on Poetics) and accepted awards, among them the Büchner Prize of the German Academy of Language and Poetry (1980), the Austrian State Prize for European Literature (1985) and the Geschwister-Scholl-Prize of the city of Munich (1987). After 1990 she received further awards, including the Elisabeth Langgässer Prize and the Nelly Sachs Literature Prize (both 1999) and the Book Prize of the German publishing industry mentioned above (March 2002). Despite her disappointments and criticism Wolf did not wish to provoke a complete break with the GDR regime, but instead withdrew from official committees and activities as much as possible. Her biographer Jörg Magenau regards her life as “a chronicle of continuous farewells” or emancipation from previously held beliefs and ideals, a recurring process of disillusionment. Finally, in June 1989, she gave up her membership in the SED and worked to influence the course of the growing political upheaval. She and other intellectuals such as Volker Braun and Stefan Heym argued against absorption of the GDR by the Federal Republic of Germany in favor of the continued existence of an independent GDR. In the 1990s Wolf was the target of sharp attacks, denigrated especially by West German critics and journalists as “State Poet” of the GDR. Amidst all the media frenzy it was forgotten that for over twenty years she had herself been under constant Stasi observation. Wolf published Was bleibt (What Remains) in 1990, reflections written during the 1970s about her observation by the Stasi. The book drew accusations of hypocrisy, particularly after the 1993 revelation that she had herself been recruited by the Stasi as an “informal cooperator” during the years 1959–61. In fact she had provided no significant information. In spite of such difficulties, to which she often reacted with illness, and also in order to cope with them, Wolf continued writing: in 1993 she published Medea, a transformation of the ancient myth reflecting her critique of social ostracism of the Other. The story Leibhaftig (In the Flesh; 2003) reports on a life-threatening illness of the narrator shortly before the end of the GDR, during which she re-experiences her past in feverish dreams and sudden recollections and thus “detoxifies” herself, finally to survive, in contrast to the dying state. With Ein Tag im Jahr: 1960-2000 (One Day a Year; 2003) Wolf offered important documentation of her biography as well as of the everyday life and history of the GDR and the ten years following its demise. Once each year, on the 27th of September, she noted the events and thoughts that occupied her at the time, in part as an “exercise against blindness to life.” The sharply observed details and unsparing reflections make it clearer than any other source how completely intertwined with the history of her time even the most personal aspects of this author's life have been. Von einem bestimmten Zeitpunkt an, der nachträglich nicht mehr zu benennen ist, beginnt man, sich selbst historisch zu sehen; was heißt: eingebettet in, gebunden an seine Zeit …. Ich wüßte nicht, wie wir [dem] Zwang zur Versachlichung, der bis in unsere intimsten Regungen eingeschleust wird, anders entkommen und entgegentreten sollten als durch die Entfaltung und auch durch die Entäußerung unserer Subjektivität, ungeachtet der Überwindung, die das kosten mag. Das Bedürfnis, gekannt zu werden, auch mit seinen problematischen Zügen, mit Irrtümern und Fehlern, liegt aller Literatur zugrunde und ist auch ein Antriebsmotiv für dieses Buch. (aus Ein Tag im Jahr). I don't know how else we should escape and confront the pressure to commodify everything, a compulsion which floods even our most intimate feelings, except through the development and expression of our own subjectivity, no matter how difficult and painful that may be. The need to be known, even with one's problematic qualities, false assumptions and mistakes, lies at the source of all literature and is also one motivation for this book. (from Ein Tag im Jahr). Hilzinger, Sonja. 1986. Christa Wolf. Stuttgart. Metzler. Hörnigk, Therese. 1989. Christa Wolf. Göttingen. Steidl. Magenau, Jörg. 2002. Christa Wolf: Eine Biographie. Berlin. Kindler. Mayerhofer, Petra.“Christa Wolf.” Feministische phantastisch-utopische Literatur. Stefan, Alexander. 1987 . Christa Wolf. 3., überarbeitete Auflage. München. Beck. Wolf, Christa. 1999-2003. Werke. 13 Bände. Herausgegeben, kommentiert und mit einem Nachwort versehen von Sonja Hilzinger. München. Luchterhand.